El Convento Hotel has 13 rooms full of light and with a particular arquitectural style. That is where the charm of the hotel stands. 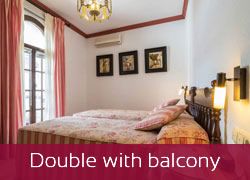 Rooms, cozy and comfortable, are equipped with all you need to provide you a lovely stay. 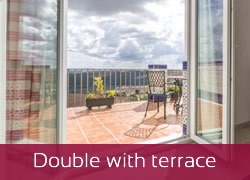 Most of the rooms have a beautiful view of the Guadalete River Valley and all of them are very quiet. Some of the rooms are called with a different name paying homage to writers, poets or cultural people. 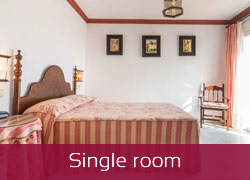 Room facilities: air-conditioning, heating, hair-dryer, amenities, bathroom, telephone and TV. Please, bear in mind that we are located in a historic building with no lift. The access to some of the rooms are via stairs.